The gold standard for treating fungal nails has been prescription oral antifungal medications because they have been clinically more effective at clearing out the infection than topical antifungal treatments. But oral antifungal medications are often not an option for many people because of their side effects and potential interactions with other medications. 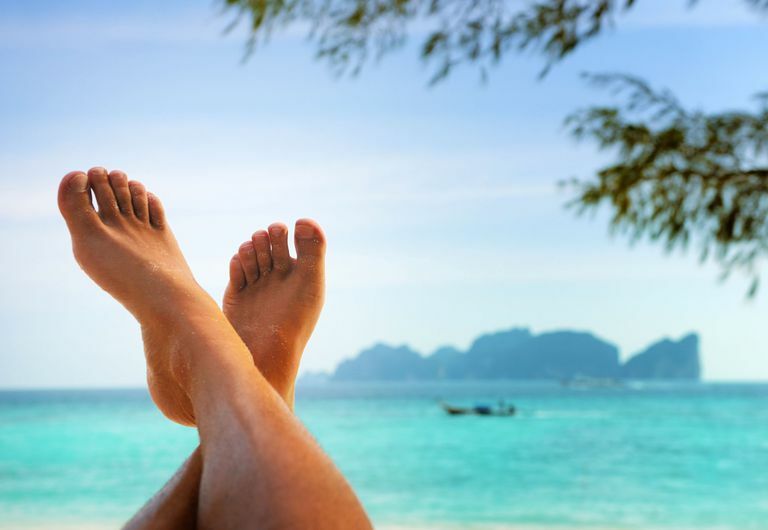 Given that toenail fungal infection is such a prevalent problem with no easy cure, newer laser treatment options have sparked a lot of interest. Now that laser treatment services for nail fungus are growing and found in many podiatry offices, people are wondering how this treatment option compares to oral and topical medications. Different types of laser devices have been cleared by the FDA, such as the PinPointe™ Footlaser, GenesisPlus, and Noveon®. Currently, laser devices are FDA cleared for the "temporary increase in clear nails", which means that preliminary studies showed evidence of partial or total clearing of nail fungus symptoms — but the possibility exists that the infection could occur again. However, with any successful treatment of onychomycosis — whether it's oral medications, topical medications, or laser — there's always a risk that the infection could return. So far there have been promising results with laser treatment. For example, Pinpointe™ laser refers to a clinical study in which 80% of all patients treated had nail clearing at 12 months after a single treatment. Since laser treatment of toenail fungus is a fairly new procedure, more studies are needed to get an idea of how it compares to other treatments. How Does Laser Treat Onychomycosis? Laser devices emit pulses of energy that impart heat to tissues that it contacts. The laser is theorized to exert antifungal activity when the mold or fungal cells absorb this heat, which kills the microbe. There may be other, yet to be identified factors at play which cause nail clearing. The laser energy penetrates through the toenail, to the nail bed beneath where the fungus is likely also present. This ability to penetrate the full thickness of the toenail is probably what leads to the promising results seen thus far with laser treatment. Each brand of laser differs in the method used for treating nails, but in general, the result is to utilize heat energy to eliminate the infection. Pulsing the laser or using specific wavelengths helps to minimize heating of the patient's skin, usually making the procedure pain-free. Patient information provided by some laser companies will state that a slight heating sensation will often be felt. The initial consultation for laser onychomycosis treatment will involve an evaluation of the nail symptoms and possibly filing down of the nail (debridement). The laser will be maneuvered over any affected nails, and may even be used over non-affected nails. One session typically lasts 30 minutes or less. While some patients have success with a single treatment, additional treatments may be prescribed depending on the results. Treatments will not clear a nail immediately — it may take 6 to 12 months until the nail grows out to determine if the treatment has been successful. The type of laser device used may also factor into the number of treatment sessions needed. The cost of laser onychomycosis treatment is often a downside. The cost differs from one provider to the next but averages about $1000. Take the time to compare prices and treatment plans. Traditional treatment of onychomycosis using oral or topical medications will likely be less than laser, especially because these services will have some or complete insurance coverage. However, laser treatment seems to outperform oral and topical medications and has the convenience of one treatment in many cases. Aditya K. Gupta, MD, Ph.D., MBA, FAAD, FRCPC, Fiona Simpson, HBSc. Device-Based Therapies for Onychomycosis Treatment. Skin Therapy Letter. 2012;17(9).